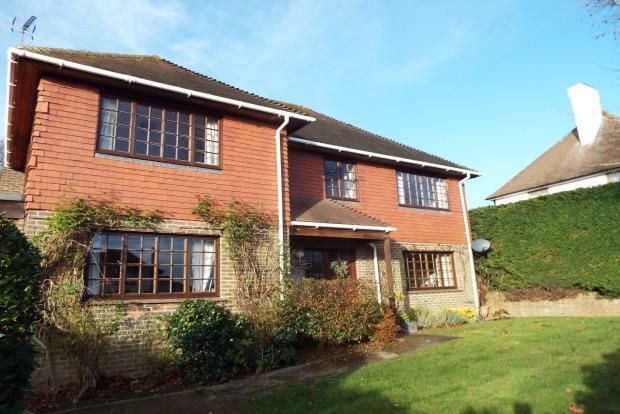 4 Bedroom Detached House To Rent in Tonbridge for £2,300 per Calendar Month. Fabulous opportunity to move to a lovely rural location. This detached well established family home is situated in the heart of Brenchley, however, within five minutes drive of a mainline station and two minutes walk to the village. This property is well presented, spacious and situated in a quiet cul-de-sac position. The ground floor accommodation comprises of an entrance hall, a large living room with sliding patio doors to the garden, a dining room, study/playroom, kitchen/breakfast room and a utility lobby. On the first floor there is a master bedroom with fitted wardrobes and en-suite shower room, two further double bedrooms, one single bedroom and a family bathroom. To the front there is a paved driveway providing off road parking for two cars, leading to a double garage. The remainder of the garden is mainly laid to lawn with flower and shrub borders and an unusual layout, with lots of hidden areas, ideal for children who love playing hide and seek. There is a patio area where you can sit and enjoy the garden and has a very sunny aspect. The garden is maintain by a gardener, which is included in the rent. This house would appeal to those who love living in a heart of Kent, in a pretty rural village. Must be viewed!